Frank R. Steed was a U.S. Army Field Clerk and medic during World War I. He was assigned to the Casualty Division of the American Expeditionary Forces in France. During his time spent abroad he compiled a collection of keepsakes that he then placed into two scrapbooks. The materials are not affixed to pages in chronological order, but dates noted range from May 1918 to November 1919. Frank Steed stayed at The Waverly Hotel in Belfast on February 6, 1919. The Waverly Hotel operated as an affordable lodging option for businessmen and travelers. It is no longer in operation and it is believed that the building no longer exits as well. On June 21, 1919, Frank Steed traveled to London where he stayed in a temporary YMCA lodging. The Eagle Hut was located at the current site of the India High Commission Building, where there is now a plaque commemorating the temporary structure. The hut served around two million meals from August 1917 to August 1919. It is estimated to have served 3,000 per day, and 4-5,000 on busy days. American pancakes were the most popular items offered, as well as ice cream during the summer. On June 28, 1919, Frank Steed moved to Edinburgh where he stayed at the YMCA St. Andrew Hut. 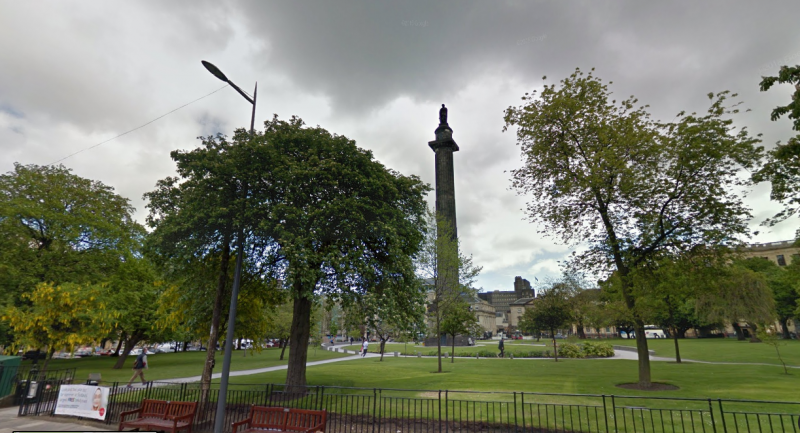 This temporary location was erected in St. Andrew Square to serve as a lodging and gathering place for military men. It was the second largest YMCA structure to be built during the war, exceeded only by The Eagle Hut. Although Frank Steed’s receipt does not state the month in which he stayed at this location, it is believed that his stay was from October 24-26, 1919. 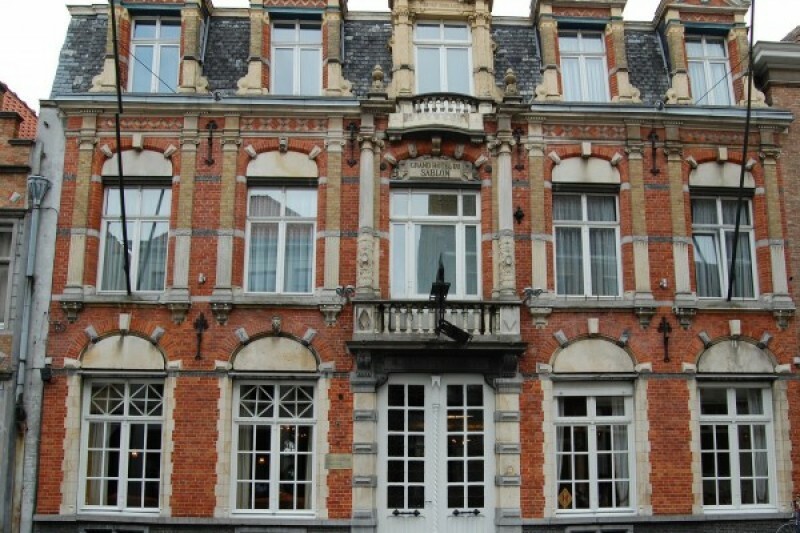 Hotel de la Poste Tilmans is no longer in operation, and little information can be found on the hotel. After arriving from Bordeaux, Frank Steed stayed in the Central Hotel on November 3, 1919. 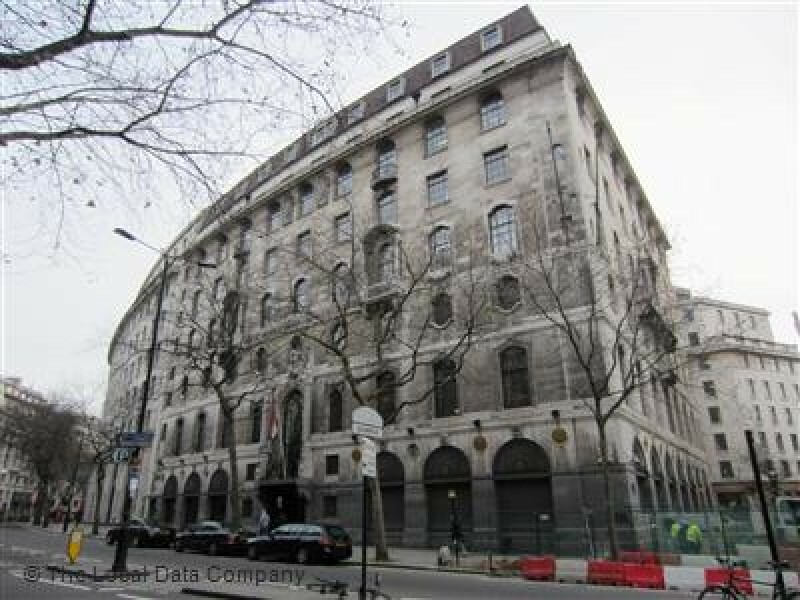 The building which once housed the glamorous hotel is now abandoned. Frank Steed stayed at the luxurious Hotel du Pavillon on February 9, 1919. 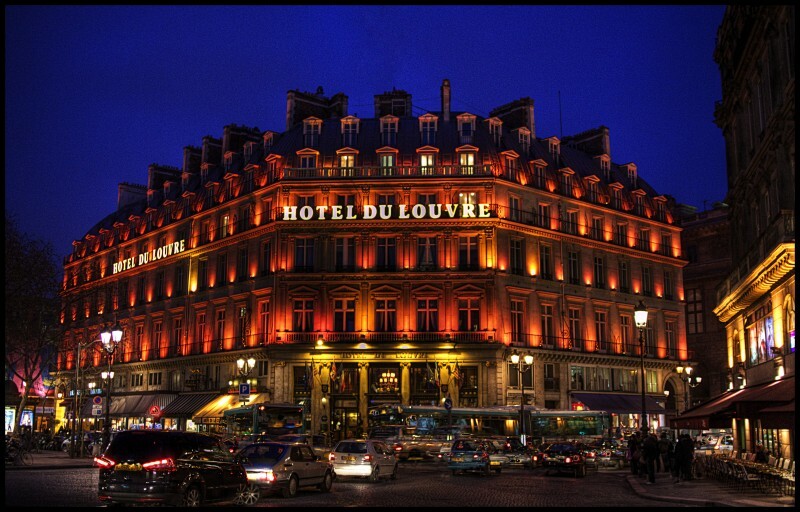 The hotel is still operating today, under the same name, as a four star hotel in the heart of Paris’ tourist district. Although Frank Steed did not stay overnight in the luxurious Grand Hôtel du Louvre, he stopped to have lunch on June 21, 1919. Today part of the Grand Hôtel du Louvre has been converted into shops, while the other half operates as simply the Hôtel du Louvre. Steed stayed at the Grand Hotel from August 16-18, 1919. His receipt indicates that he enjoyed chocolate and lunch during his stay. 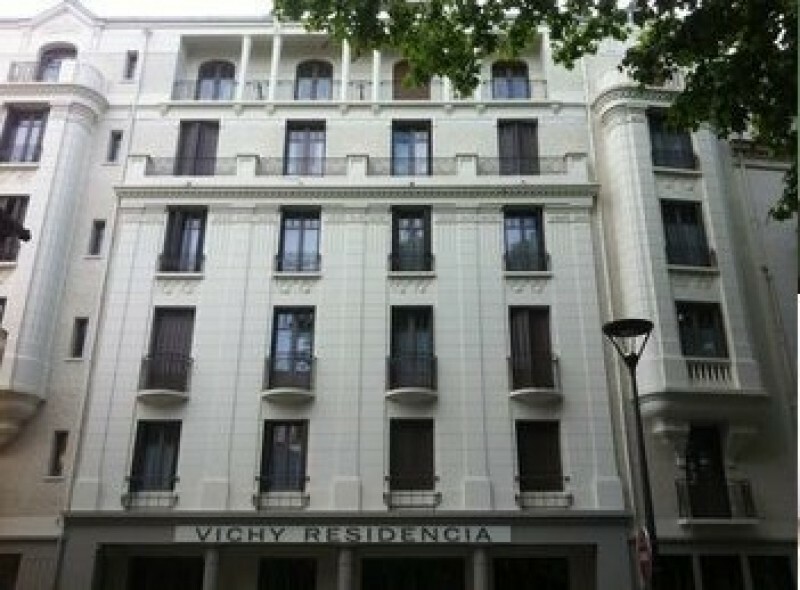 The hotel is still operating today under the name Vichy Residencia. On October 23, 1919, Frank Steed stayed one night in the Grand Hotel du Sablon which he noted was a “charming little hotel with an equally charming proprietor.” His receipt lists his stay, along with a lunch to go, and a piece of bread. The hotel is still in operation, under the same name, today. 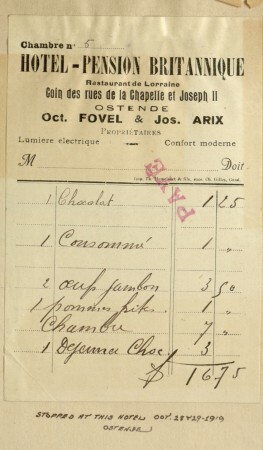 Frank Steed stayed at the Hôtel de Berri from November 4-6, 1919. His receipt lists his room cost, as well as the cost of chocolate each night and bread on his last night. 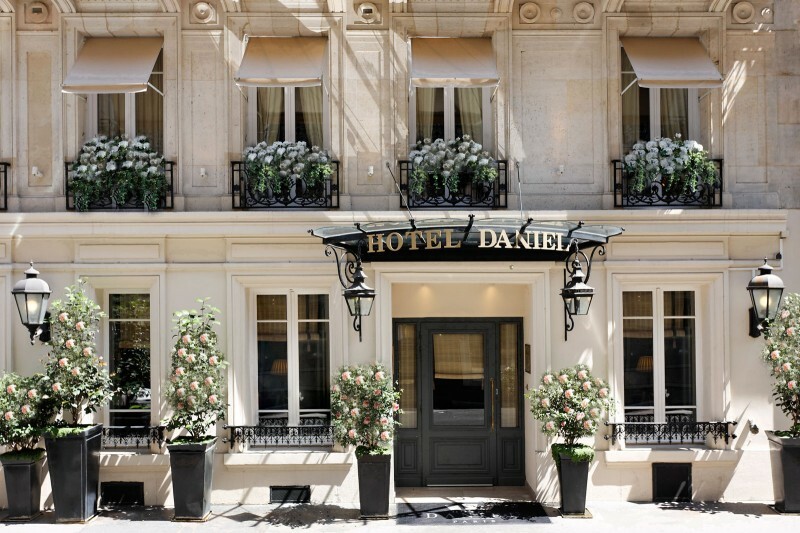 The Hôtel de Berri is still operating, however, it is now called Hotel Daniel. In 1919, the American dollar was worth 7.3090 Old French Francs. The inflated worth of the dollar in France may have enabled Frank Steed to stay in hotels he would not have normally been able to afford. Below is a chart outlining the cost of a few of the hotels Frank Steed stayed at compared to the American dollar in 1919 and to what they would cost today. 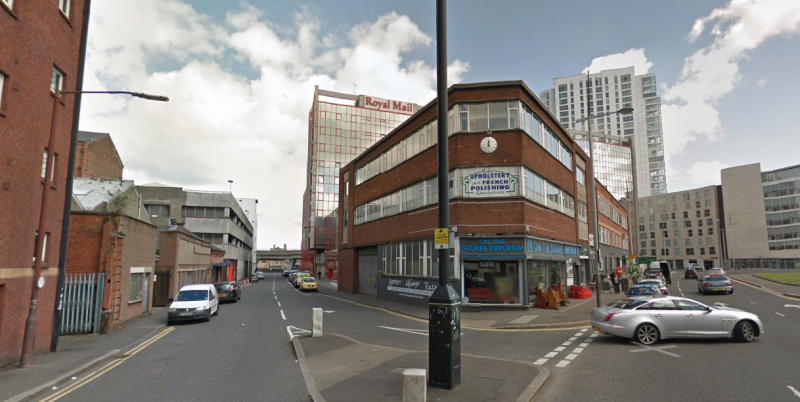 Two of Frank Steed’s lodgings remain lost. 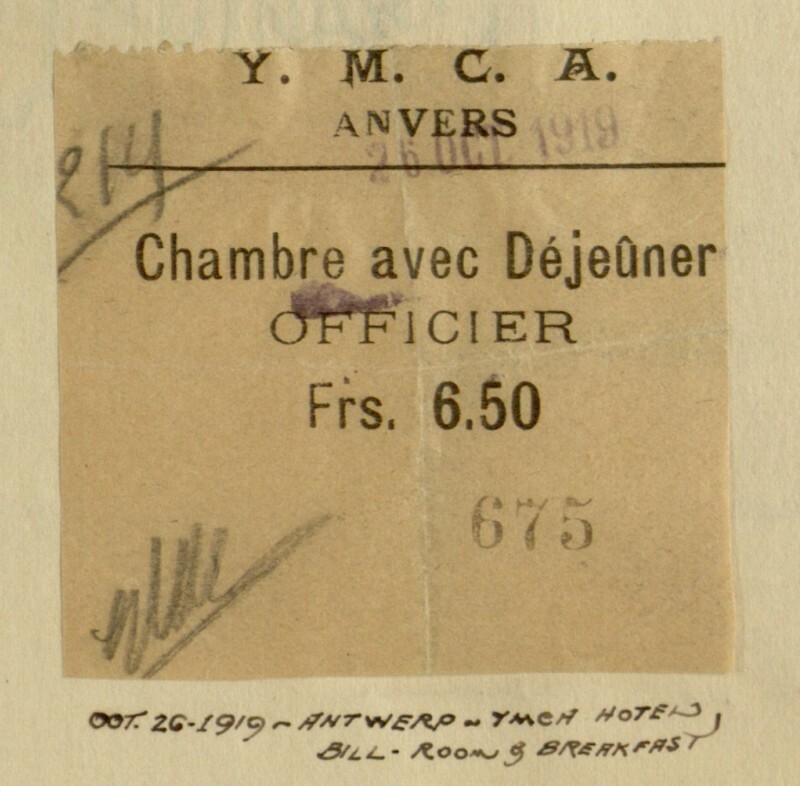 His collection of receipts place him at the YMCA Anvers on October 26, 1919, yet a thorough search for WWI YMCA locations in Anvers, Atwerp, Belgium were unsuccessful. 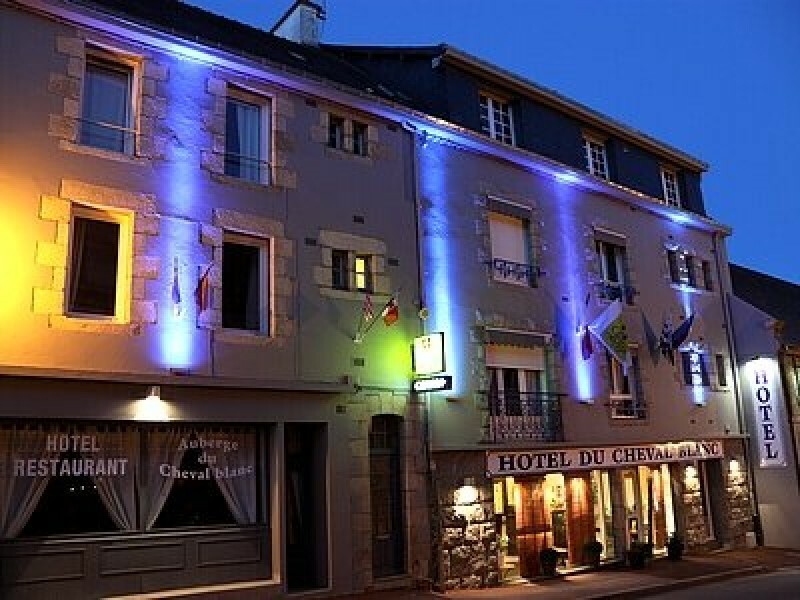 It is possible that there was a hotel accepting YMCA vouchers, much like the Hotel du Cheval-Blanc, as no temporary YMCA location is reported to have been erected in this area. 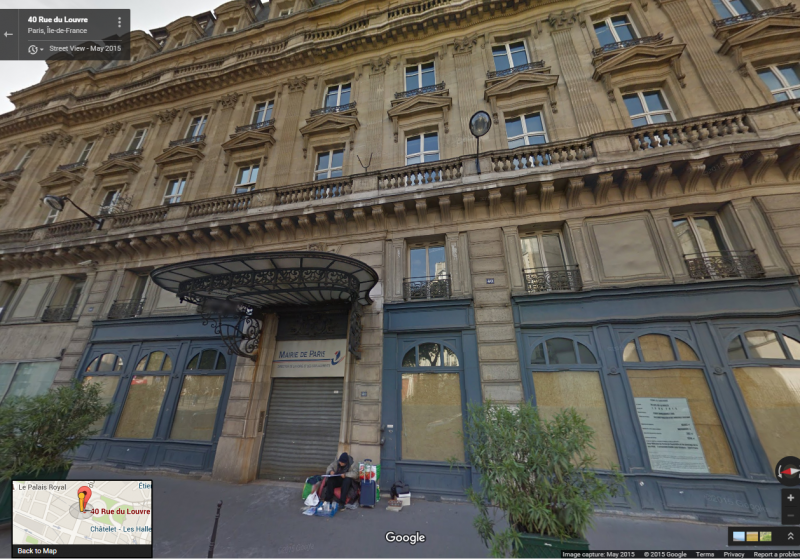 The second location that cannot be mapped is the Hotel Pension-Britannique. Known to be located in Ostende, Belgium, the street names listed on the receipt no longer exist within the city, leaving its exact location a mystery. Frank Steed brought home with him keepsakes from his wartime travels in order to commemorate his time spent in the military and at war. He placed them within two scrapbooks so that he can look upon the time in his life, well after he returned to the life of a civilian. The scrapbooks were meant to be memory collectors that marked a time in Steed’s life after he moved beyond it. In the same way, cities throughout Europe erected monuments commemorating the Great War, but they too moved on with their lives. Citizens continued to live, businesses continued to operate, and many Steed’s hotels continued to stand. Bang, Laura. “Blue Electrode: Sparking between Silicon and Paper.” Falvey Memorial Library: Villanova University. June 29, 2013. Accessed December 2015. http://blog.library.villanova.edu/digitallibrary/2013/06/29/frank-r-steed-in-wwi-paris/. Edinburgh, The University of. 2015. Scotland’s War. Accessed December 2015. http://www.edinburghs-war.ed.ac.uk/Midlothian/Home-Front-Veterans/American-Hut. Moncrieff, Ascott Robert Hope. 1904. Black’s Guide to Sommerset. Edinburgh: R&R Clarke Limited. Stuart. 2012. Great War London: London and Londoners in the First World War. November 21. Accessed December 2015. https://greatwarlondon.wordpress.com/2012/11/21/the-eagle-hut/. Ascott Robert Hope Moncrieff, Black’s Guide to Sommerset, (Edinburgh: R&R Clarke Limited:1904) advertisement, pg. 5. Stuart, Great War London: London and Londoners in the First World War, November 21, 2012, accessed December 2015, https://greatwarlondon.wordpress.com/2012/11/21/the-eagle-hut/. The University of Edinburgh, Scotland’s War, 2015, accessed December 2015, http://www.edinburghs-war.ed.ac.uk/Midlothian/Home-Front-Veterans/American-Hut. Laura Bang, “Blue Electrode: Sparking between Silicon and Paper,” Falvey Memorial Library: Villanova University, June 29, 2013, Accessed December 2015. http://blog.library.villanova.edu/digitallibrary/2013/06/29/frank-r-steed-in-wwi-paris/.